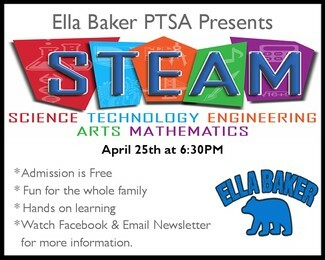 We're looking for volunteers to help with our next Community Event, "STEAM Night!" Joins us to help make the night a success! Just a friendly reminder that if you are not an approved volunteer, please make sure to apply on Raptor ASAP. It takes about two week to be approved.